So what happens when a bunch of scientists are messing around with super hot ovens and chemicals? You discover a new pigment of course! It’s called YinMn blue. In 2009, at Oregon State University, a graduate student named Andrew Smith accidentally discovered the new pigment while researching electrical properties of compounds. 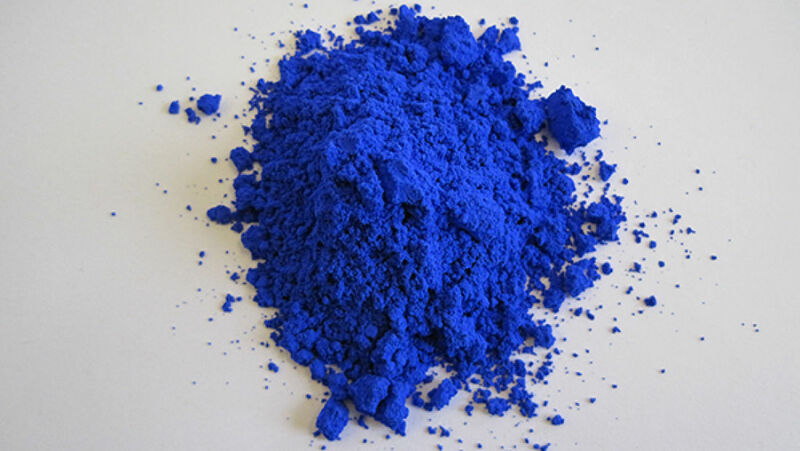 YinMn blue is a vivid, bright beautiful pigment. What has also been discovered is that because of it’s unique crystal structure it is highly resistant to fading. In 2016 it was licensed to Shepherd color company which makes beautiful pigments for the paint industry. The biggest player in the painting industry, Pittsburg, is in negotiations to put it into development. AMD, Advanced Micro Devices has announced that the shade will be used on two of their graphics processing units. 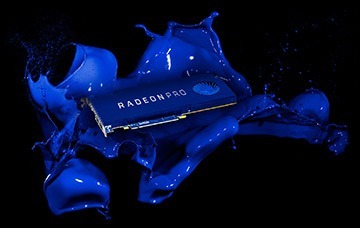 The Radeon Pro WX and the Radeon Pro SSG. YinMn blue’s unique aesthetic was a reason for it’s use. Further research has shown that the pigment has high reflectivity for infrared light. In the future there will certainly be more applications for this pigment because of this energy efficiency. Already in discussion is painting roofs with the pigment to keep buildings much cooler. The pigment is extremely stable, even when exposed to high heat and acidic conditions. It is easy to produce and perhaps most important of all it is not toxic like Prussian blue and Cobalt blue. What is perhaps most impressive of all is that the pigment has already been included in the Forbes Pigment Collection at the Harvard Art Museum which showcases a world history of color.